Disneyland in California has the Disneyland Railroad, an authentic steam-powered passenger train which circles the park. 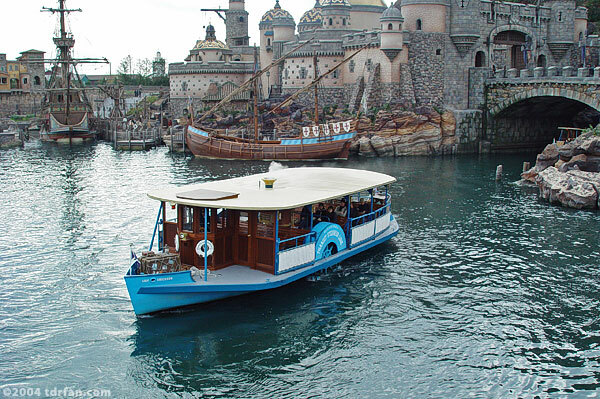 DisneySea has the Transit Steamer Line which does the same, only on water. The steamers stop in three places: Mediterranean Harbor, Lost River Delta, and American Waterfront. Unlike the Disneyland Railroad in California—which you can ride round and round all day and get a scenic overview of the park—the Transit Steamer Line requires that you disembark when it stops at a dock.